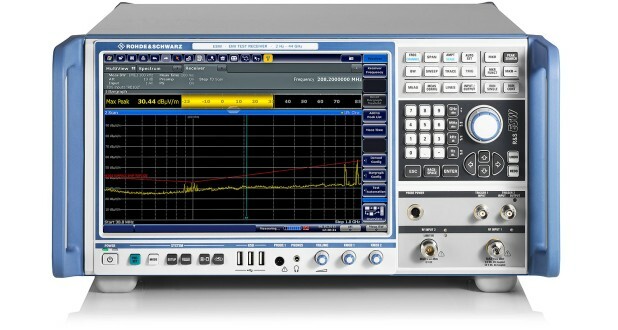 The R&S®ESW is an EMI test receiver with outstanding RF characteristics, including high dynamic range und measurement accuracy. It meets the most stringent requirements for certification measurements in line with CISPR, EN, MIL‑STD-461, DO‑160 and FCC. 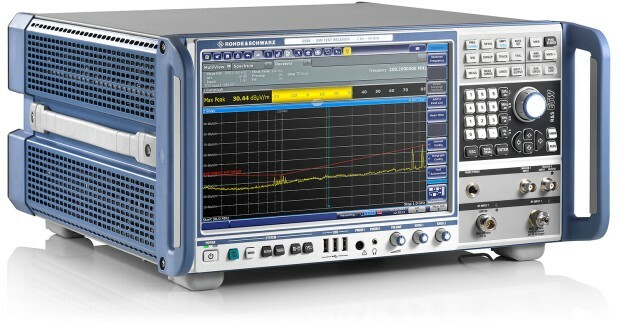 The R&S®ESW is an EMI test receiver with outstanding RF characteristics, including high dynamic range und measurement accuracy. It meets the most stringent requirements for certification measurements in line with CISPR, EN, MIL‑STD-461, DO‑160 and FCC. With its FFT-based time domain scan, the R&S®ESW captures and weights disturbance spectra in virtually no time. The instrument’s realtime spectrum analysis capability with spectrogram function permits a detailed analysis of disturbance signals and their history. 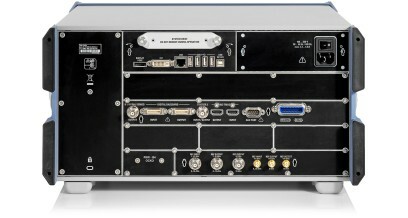 MultiView mode delivers a straightforward display of results, even for multiple operating modes.